← Blasphemy! They Call It Scrum! The sessions, especially the brilliant keynote by Kenny Rubin. He’s a funny and smart speaker, and it was very interesting to listen to what he had to say about economics in Scrum. Most quick-witted reply to a guy who mentioned a 48-months-project: “48 months? Dude, elephants give birth in 24 months!” Check out the slides and make sure you’ll attend one of his sessions somewhere. The community, especially the open space in the 1st half of the 2nd day. It was a good 50:50 mix of attendees new to Scrum and those with at least some experience, and that mix led to great conversations with a lot of outcomes and learnings. 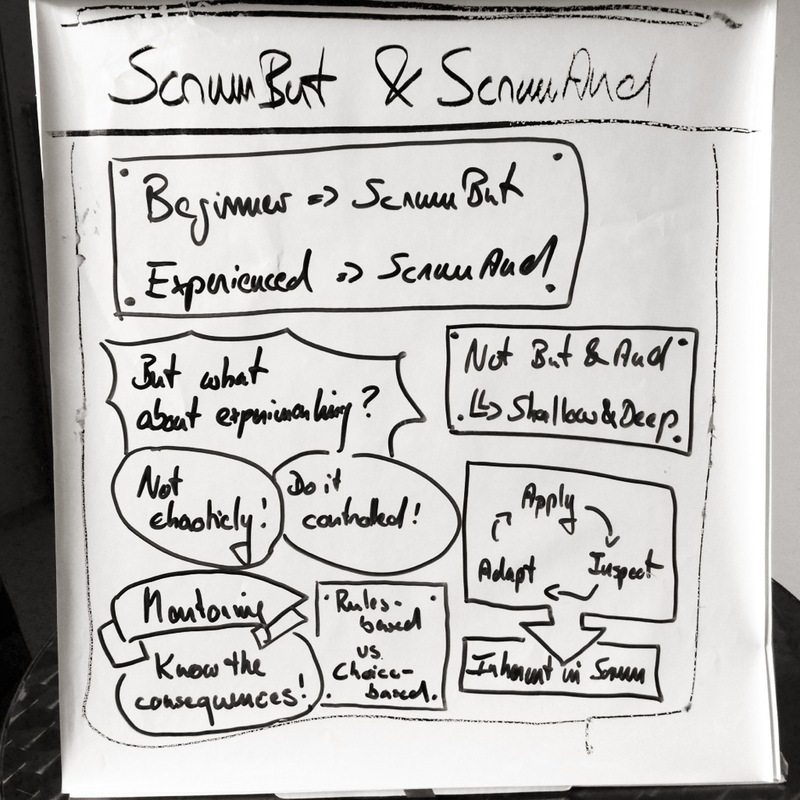 I myself hosted a session about ScrumBut and got new insights about the important part of a mentor when it comes to knowing the consequences of changes to Scrum. The conference organisation, especially the organisers. I know from my own experience how hard it is to organise a conference, so I was surprised with the amount of energy. Everyone was friendly all the time and everything went very smooth from an attendees point of view. Good job and well done! Thanks, organiser team! 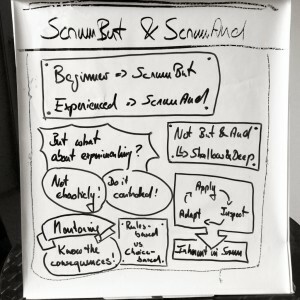 The spirit and atmosphere of Scrum Australia (“from the community for the community”) reminded my of the XP Days in Germany – hey, Aussies, that’s a great compliment here! New concept: Instead of explaining rationally what AMIs are and why they are useful, I tried to boost the audience’s hunger for change in management. You know, more emotionally. I wanted to inspire, I wanted the audience to be inspired, and I wanted them to want to inspire others after they had been inspired. More than slides: I didn’t want to have slides only anymore. I wanted to touch the audience by more than just words and images. So I told a story by Douglas Adams with pictures sketched by myself, had the audience solve puzzles, and showed a video. New audience: I didn’t know what to expect regarding an Australian audience. 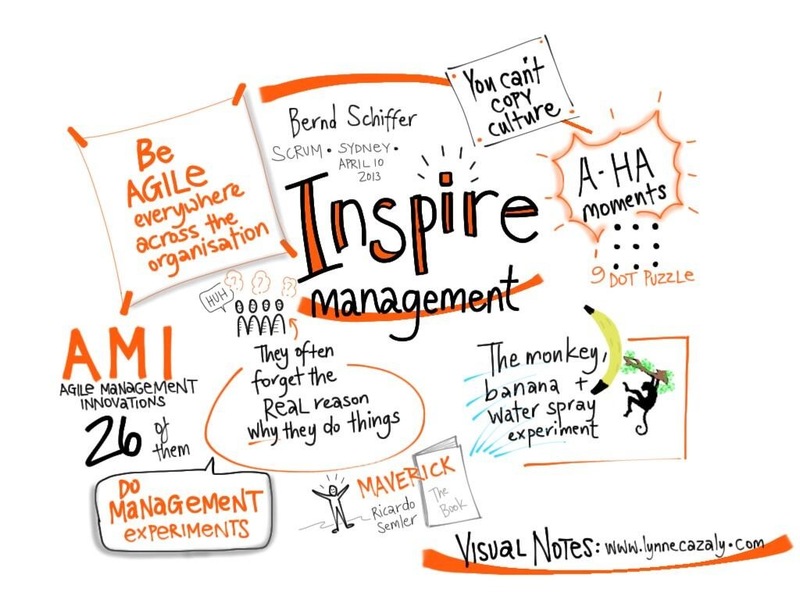 Lynn Cazaly did a great job in visualising some aspects of my session. Look at her visual notes! Thanks, Lynn! Kudos for the feedback system, btw. At the end of each session, when people left the room they could grab a small stone and put it into one of three buckets: a green one for positive feedback, a blue one for negative feedback, and a white one for the undecided attendees. The organisers didn’t count the stones, they just weighed them and put the results in relation to each other. They told me I got 90 % green stones, and the rest were in the white bucket. I’m pretty happy about that result. 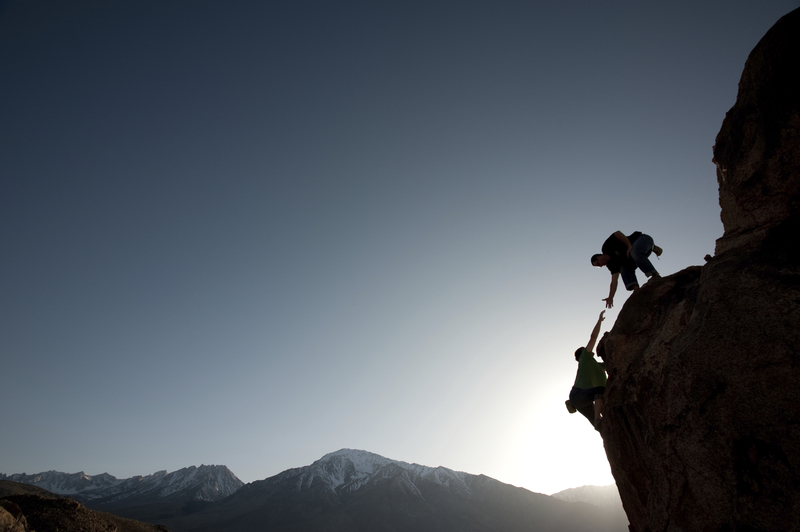 [Update: The official feedback was that this session ranked 3rd out of 28 sessions.] Thank you, Australian audience! These are the slides. Check out slide 37 with lots of sources and other stuff to enlarge upon. 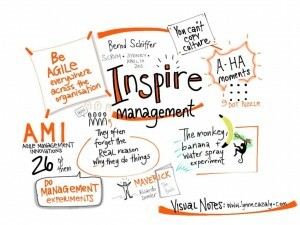 This entry was posted in General and tagged agile management innovation, conference, scrum. Bookmark the permalink.